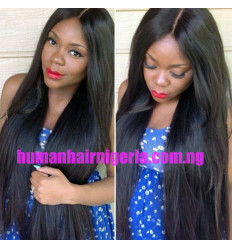 European Bob Super Double Drawn Straight Hair is 100% original human hair & awesome hair. This beautiful and glamorous hair will keep heads turning anywhere you go. It's full from the top to the tip. The Super Double Drawn Bob Straight is a special high grade that is rich in texture and shine. It last a lifetime. 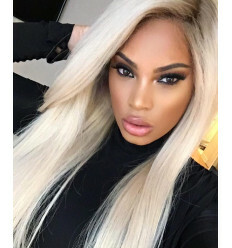 European Blunt Bob Cut Super Double Drawn Straight Hair. It's 100% original human hair & awesome hair. This beautiful and glamorous hair will keep heads turning anywhere you go. It's full from the top to the tip. The Super Double Drawn Straight is a special high grade that is rich in texture and shine. It last a lifetime.. They do not shed, tangle nor smell, all cuticles are intact and are in one direction. 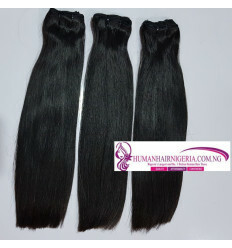 Our Super Double Drawn human hair is durable and last long at least 5 years when properly maintained. This 100% original Hair is soft and smooth and will retain its natural shine and vitality. 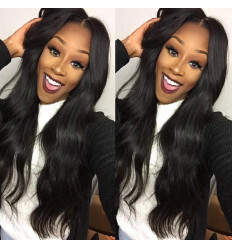 Our hair is not mixed with any synthetic or animal hair, last long, no shedding and no tangling.